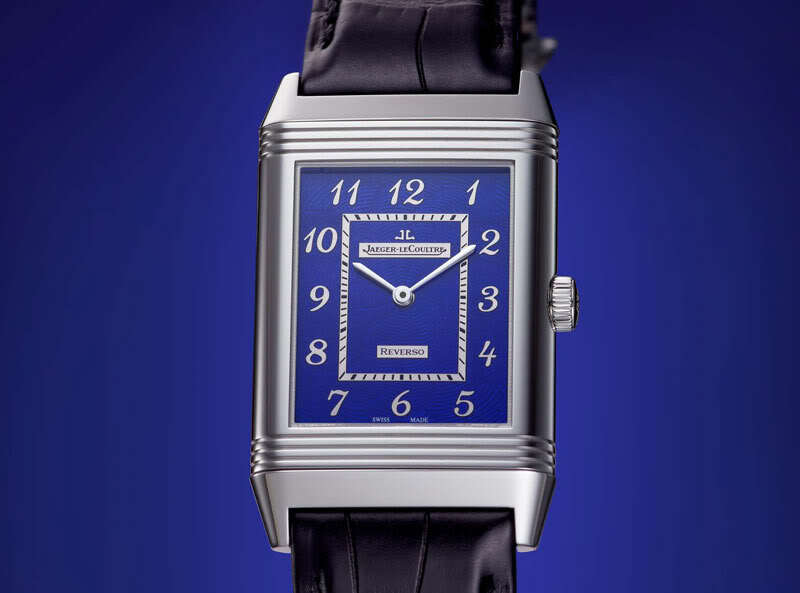 Jaeger LeCoultre releases another re-issue and might I say, again a very nice one! Two new limited edition models Memovox Tribute to Deep Sea look they will sell out fast. 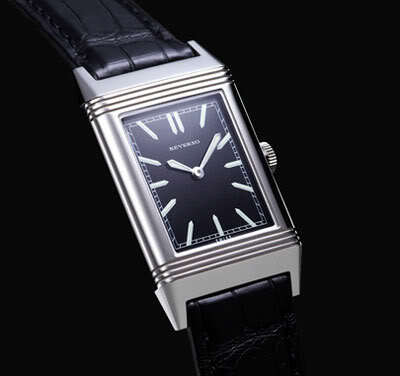 Recently Jaeger LeCoultre released the Grande Reverso Ultra Thin as tribute to the very first Reverso. Two years ago they already released the Memovox Tribute to Polaris 1965 and the Memovox Tribute to Polaris 1968, also two very desirable super-compressor style watches! And lets not forget the Memovox International that was released last year. 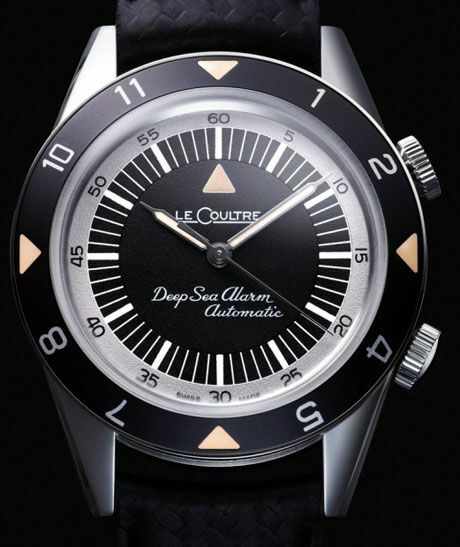 And now a tribute to the Deep Sea, a vintage Jaeger LeCoultre dive watch from 1959. There are two new Memovox Tribute to Deep Sea models, one for the European Market and one for the American market. 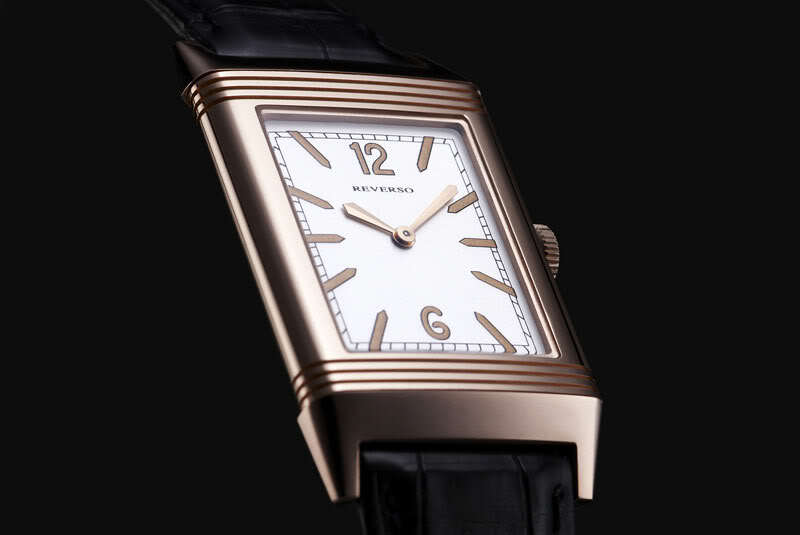 The Memovox tribute to Deep Sea is issued in two limited series: the “Jaeger- LeCoultre Classique 1959” intended for the European market (pictured above) and the “LeCoultre Spécial Amérique 1959” for the American market (pictured below). The Memovox Tribute to Deep Sea has a plexiglass that is identical to that of the vintage Deep Sea models! A nice touch that I really appreciate. 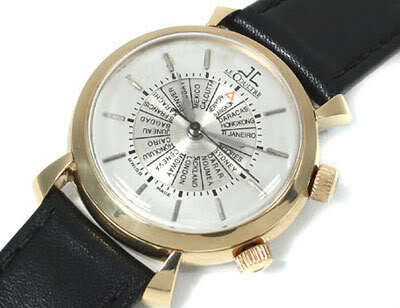 Jaeger LeCoultre increased the size of the case from 39.8mm to 40.5mm, still a very nice size! I’m glad they haven’t increased its size to 44mm or more. The one pictured above is the Memovox Tribute to Deep Sea Replica of the “Jaeger-LeCoultre Classique 1959”, made for the European market and limited to 959 pieces. 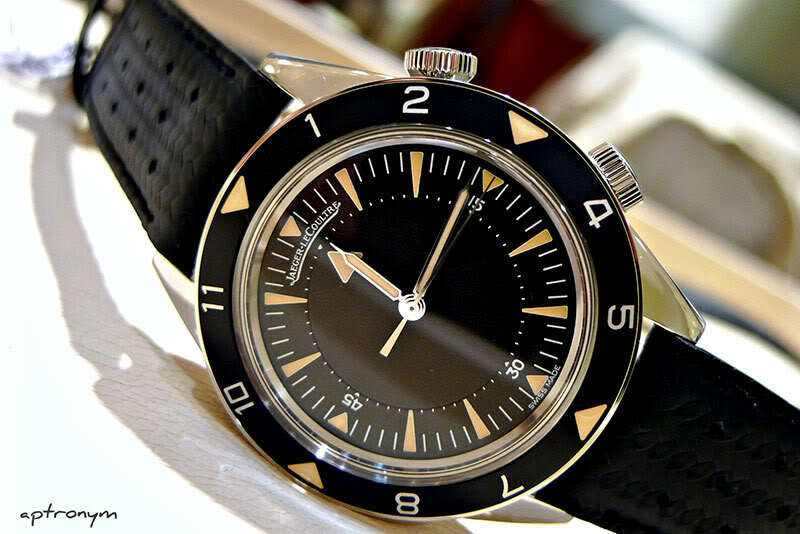 Below is the Memovox Tribute to Deep Sea Replica of the “LeCoultre Spécial Amérique 1959”, created for the US market and this one is limited to 359 pieces. I have no idea why the US market, which is bigger than the European market, only gets 359 pieces. Furthermore I’m very interested in how many of the 959 pieces intended for the European market will be sold in Asian AD’s. In the early 1950s, humankind was fervently dedicated to building a new world. Modern individuals were dynamic and intrepid, embodying the values of a future-oriented era and keen to set off on the discovery of new territories focusing on the unexplored heart of continents, the infinity of the cosmos, and the ocean depths. In 1957 the USSR launched the first artificial satellite of the Earth. A few months earlier, Jacques-Yves Cousteau and Louis Malle had unveiled the fascinating mysteries of underwater life in the film entitled The Silent World and which was acclaimed by critics at the Cannes Film Festival and subsequently by the public at large. Commander Cousteau’s passion was soon shared by a growing number of eager scuba diving fans, especially once the simultaneous invention of a revolutionary diving bottle fostered the spread of this promising young discipline. A new kind of sports enthusiast emerged, requiring instruments suited to the exercise of their recently developed passion and able to help them successfully undertake their adventurous missions below the sea. 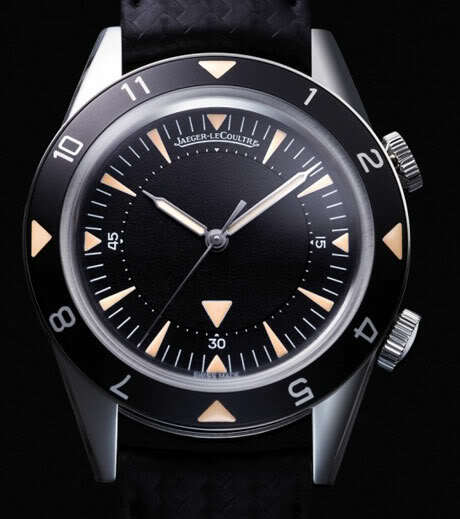 In order to meet demand from American enthusiasts of this booming sport, Jaeger-LeCoultre launched a daring project in 1959 involving the development of a diver’s watch. This represented largely uncharted territory at the time, with no criteria stipulating the demands that should be met by this unprecedented category of timepieces, and almost 20 years were to elapse before the adoption of the NIHS norms applicable to diver’s watches. The watchmakers and technicians of the Manufacture immediately set to work and that same year presented a watch endowed with a degree of reliability and performances that were truly exceptional in that early period of underwater exploration. The Memovox Deep Sea was the world’s first diver’s watch equipped with an alarm function. Jaeger-LeCoultre engineers devoted the full measure of their inventive skills to transforming the alarm generally featured on Memovox watches into an acoustic signal designed to warn divers that it was time to begin their progressive ascent to the surface. In keeping with an essential principle consistently upheld by the Manufacture, functionality was already dedicated to serving security. For more information you can visit the Jaeger LeCoultre website and Facebook page.